Just north of LA, in the unremarkable town of Chatsworth, Jonathan Ward and his team are slaving away on some of the most incredible vehicle restorations on the planet. 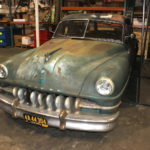 What started as a bet between Ward and a university professor over the laws of supply and demand has turned into a four-year-long wait list of handmade customization projects across a range of classic cars and trucks. Ward graciously invited Digital Trends to peer inside his operation, take a spin in a few of his latest projects, and – in my case – share a steak salad. ICON 4×4 was created from a vision to re-master the Toyota FJ40. Jonathan and his wife Jamie had found success servicing and restoring Toyota Land Cruisers in the mid-90’s, capped off by a request from Akio Toyoda to build a prototype of the 2007 FJ Cruiser. The contemporary project prompted Ward to consider adding modern, high-end suspension, powertrain, and build materials to the FJ40. 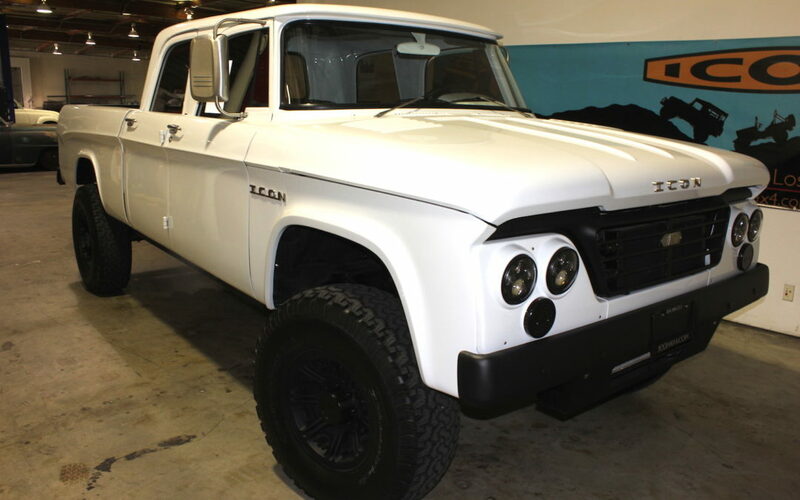 As clients flocked to Ward’s unique FJs, ICON expanded to include the BR (Bronco) and TR (Thriftmaster) resto-mods. 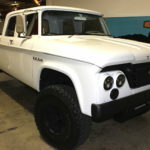 In recent years, Ward’s obsession for vehicular excellence has introduced a broad range of custom projects that fall under the “Derelicts and Reformer” Series. 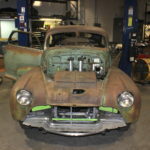 ’30s, ’40s, and ’50s era models from Lincoln, Buick, Dodge, Chevrolet, Willy’s, and other brands have entered Ward’s shop and left as spectacular one-offs. In just a handful of hours, I became convinced that Ward’s success with TLC and ICON was nothing resembling luck – despite what he might say to the contrary. Rather, his ability to foresee market trends and his attention to detail laid the groundwork for a booming business, satisfied customers, and industry acclaim. Nike and Ford don’t partner with just anyone. While automakers are only just beginning to realize how far they can push extravagance in premium vehicles while still continuing to reel in buyers, Ward has been putting form and function ahead of practicality and pricing for decades. “Some clients know exactly what they want, but others just want something different,” said Ward. “Different” is precisely how ICON approaches new projects. Ward doesn’t just obsess over the aesthetics and materials; he considers how powertrain and technology evolutions will impact owners over time. Instead of butchery a classic dashboard to include a new audio head unit, Ward’s team will create a hidden panel behind the dash or within the center console to maintain the original cabin look and feel. Similarly, ICON is in tune with maintenance complications and the transition towards alternative energy powertrains. “I want customers to be able to easily swap out an engine for the latest and greatest unit down the road,” he said. That means the wiring, mounting, and structural engineering are designed for modification – whether those changes come from ICON or not. It’s not just broad-stroke processes that set Ward apart; the subtle details of ICON vehicle construction communicate a focus on the end user and an unwillingness to settle for second-rate. Ward described his search for a center console that featured a hydraulic hinge, locking front compartment (that housed the infotainment system), and a machined surface without sharp edges. Instead of accepting that manufacturers wouldn’t incorporate his suggestions, Ward simply built his own. ICON’s power window system is another examples of Ward’s ingenuity. Instead of replacing roll-up handles with modern switches, he engineered the glass to power up or down by pulling or pushing the handle. Not only is the mechanism intuitive, it maintains the classic interior aesthetic. These are just two of literally hundreds of significant and subtle tweaks unique to Ward’s best-or-nothing philosophy. “Before I could drive, I was doing leatherwork, painting, and sculpting,” Ward told Digital Trends. “I’m a tactile person.” Nothing appears to have changed. Ward’s office, littered with automotive toys, posters, pictures, and models from all over the world, is also the designer’s innovation lab. Here, Ward fondles leather samples, ponders new vehicle designs, massages client visions, and works with his spotter network to find aging cars and trucks. Metal, wood, electrical, and every other hardware sample crosses Ward’s desk before finding its way into an ICON restoration. The finite details add up to over a year’s worth of work per project at a cost in the hundreds of thousands of dollars. “Sure, some people are going to run out and buy the latest Bentley and be perfectly happy, but others with patience and inspiration can have a tailor-made vehicle imbued their own personality,” said Ward. 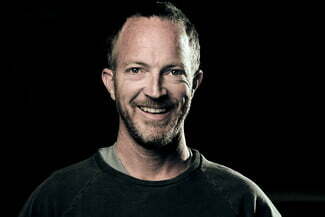 “Geeking out,” is how Ward describes ICON’s design principles. Without resource limitations, Ward’s team is able to apply a fine-tooth comb to every aspect of a vehicle. In terms of form, everything from hood latches, to body moldings, to door handles, to radio knobs, to gauges – everything has been texturized, measured, weighed, and material-upgraded to exacting standards. In the case of ICON’s BR, and TR vehicles, the updates are clear as day. Beautifully machined grilles, LED headlights, and high-displacement motors communicate significant investments. However, ICON’s more recent Derelict projects are a completely different story. Rusted, patina exteriors hide advanced suspension systems, intricate interior features, and high-end materials. 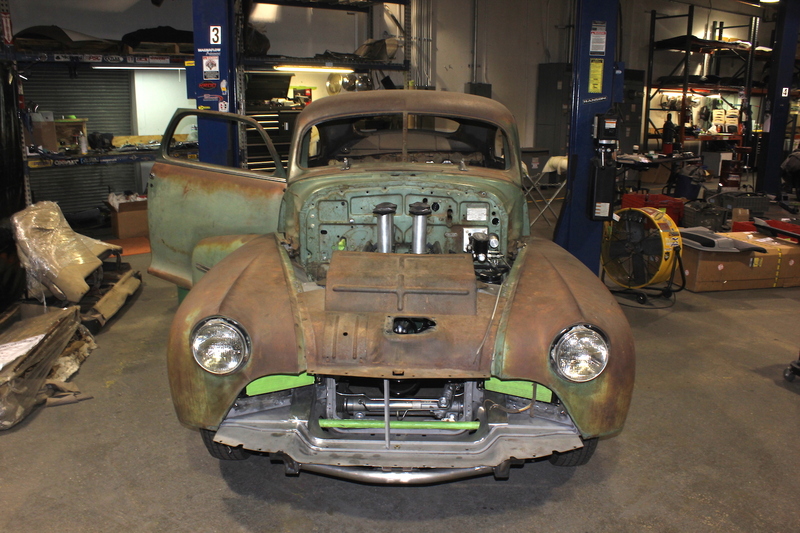 ICON is so devoted to the barn-find look that mirrors and wheels are treated to extensive “faux-rust” procedures. “These cars either prompt smiles and thumbs-up, or are completely ignored,” said Ward. Only ICON’s signature lizard logo (and the roar of an LS3 V8) betrays the beater visage. As I walked through ICON’s facility, fawning over the stunning BR, my mind struggled to grasp that these Derelicts represented the same investment of time and resources. Perhaps I’m too vain, but even a secret as good as a sleeper Derelict doesn’t quite match the splendor of ICON’s other creations. Like Rob Dickinson’s Singer Vehicle Design, ICON takes the whims of the affluent, pumps them with Ward’s vision, and produces the level of aesthetic grace and performance that accountant-leashed automakers could never mimic. 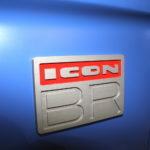 To give you an idea of the sophistication behind a finished product, I’ll rattle off just a few of the more significant enhancements applied to the ICON BR. It all starts with the frame, which is overhauled with mandrel-bent mild steel and laser-cut accessory mounts. The structure is wider and more rigid than stock – the perfect foundation for heavy-duty off-roading hardware. An Atlas II transfer case (designed for on- and off-road performance) is mated with Dana 60 front/44 rear axles and optional ARB locking differentials. Add to that Fox Racing 2.5” Emulsion shocks (or optional Nitrogen-charged units), Eibach coils, and adjustable front and rear sway bars for a full 12.0-inches of wheel travel front and rear. Translation: this is one tall, rugged rig. Competent, durable hardware is met with equally impressive braking performance thanks to four-wheel Brembo brakes with boosted ABS and stainless steel lines. Steering precision comes courtesy of a PSC Stage Four box dialed in for mild power assistance and maximum road feel. Customers can choose BF Goodrich 285/70/R18 All-Terrain or Mud-Terrain tires to wrap around standard 18-inch cast aluminum wheels. Also included is a BULL BAR front bumper with integrated LED lights, a rear ICON design tow and tire carry bumper, and integrated storage lockers. Finally, at the heart of the beast is a fuel-injected alloy V8 producing 426 horsepower and 402 pound-feet of torque paired with a five-speed manual transmission or optional automatic. Off-road, the BR will match or out-maneuver the best contemporary models from Land Rover, Jeep, or Toyota, and draws a crowd the moment it returns to suburban streets. Not even the $200,000 Range Rover Autobiography can do both. Having garnered a reputation for building the most unique, capable, and striking 4×4’s available at any price, ICON is plotting its evolution. Reforming classic roadsters, coupes, and pickups are still within Ward’s wheelhouse, but the designer is dreaming up grander initiatives. Among his immediate prospects, Ward envisions an ICON edition of a mass production vehicle. Picture walking into your local Ford dealer and ordering an ICON-spec Explorer; sure it wouldn’t be quite the same science experiment as the current ICON models, but it beats a “King Ranch” special. Further down the road, Ward is plotting his own line of watches and furniture. Sketches and renderings of watch faces and bands line his office walls, suggesting Ward’s fantasies will soon be tangible. Then there’s the designer’s most ambitious dream yet: his own electric vehicle, built from scratch. Though sketches rarely translate directly to production, if the finished design looks anything like Ward’s renderings, the automotive world is in for a tremendous treat.